The Davy V. Blog: What Was Rochester, NY Police officer Who Was Conducting Video Surveillance of Citizens Trying to Hide? What Was Rochester, NY Police officer Who Was Conducting Video Surveillance of Citizens Trying to Hide? 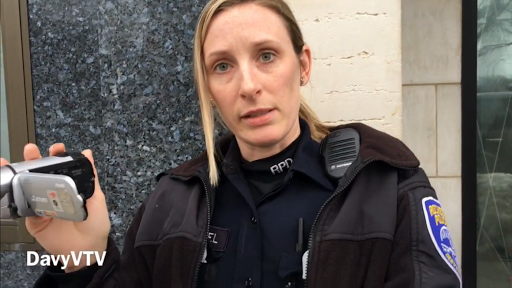 What exactly was a Rochester, NY Police officer who was conducting video surveillance of citizens at a peaceful downtown Rochester rally in support of immigrants Friday afternoon trying to hide? Or was it perhaps that in addition to using a handheld video camera to record citizens exercising their first amendment right to free speech, she was also video recording with her personal cell phone? 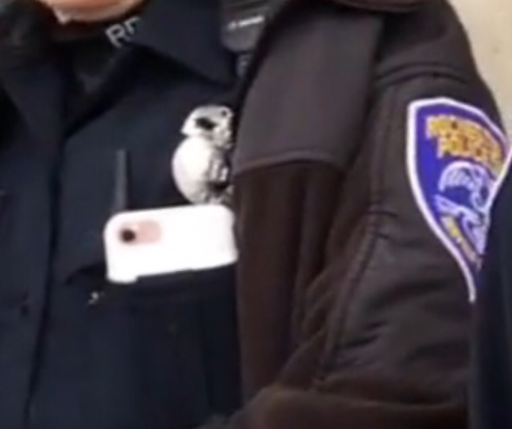 What was Rochester, NY Police officer trying to hide? 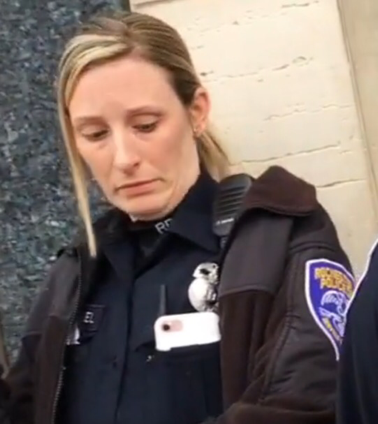 Was Rochester, NY Police officer using her personal cell phone to video record citizens? 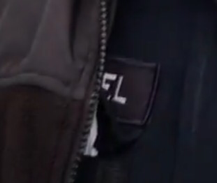 In the video, the officer also lies. She tells me she doesn't have a name tag on when she does. If you look closely in the video, you can see that she does in fact have her name on her uniform. The last couple of letters can be partially seen. Rochester, NY Police officer lied. Her name was on her uniform.